Larry DeVore, P.E. » « Rob Stubben, P.E. 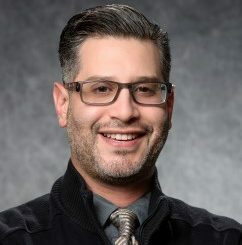 Adam Perales, Business Development Manager, began his career with CI in 2012 and is responsible for building lasting relationships with our customers. He brings extensive experience in a variety of major electrical markets, including renewable energy, cogeneration, transmission and distribution, SCADA integration, manufacturing, industrial controls and wireless telecommunications. Adam’s passionate, hands-on approach to solving client problems, coupled with his in-depth knowledge of CI’s products and manufacturing processes, ensures that our clients are presented with unique offerings, choices and insights on cutting edge solutions. For over a decade prior to joining CI, Adam held increasingly responsible positions with a major electrical contractor and is versed in field leadership, project management and engineering management. He is a former licensed electrical contractor and licensed Electrician in the State of California. Adam holds a PMI certificate in Project Management from UC Davis and is a member of the Project Management Institute.